Welcome to Armchair Arcade's Seventh Issue! 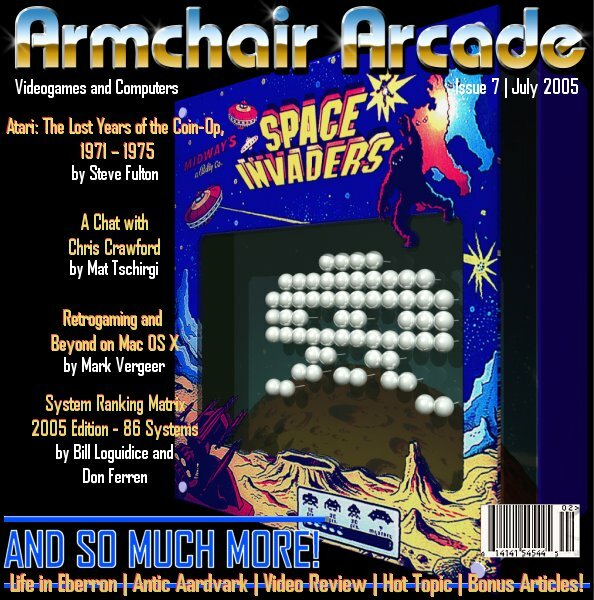 Thanks for checking out the latest issue of Armchair Arcade . After our last anniversary issue, we've gone through several staff changes, Website updates and project implementations. With all that has happened, we are proud to say that Armchair Arcade is now stronger than ever and ready to rise to new heights. This issue - our seventh in our roughly year and a half existence - provides further clarification of where we've always wanted to take the editorial direction of the publication. 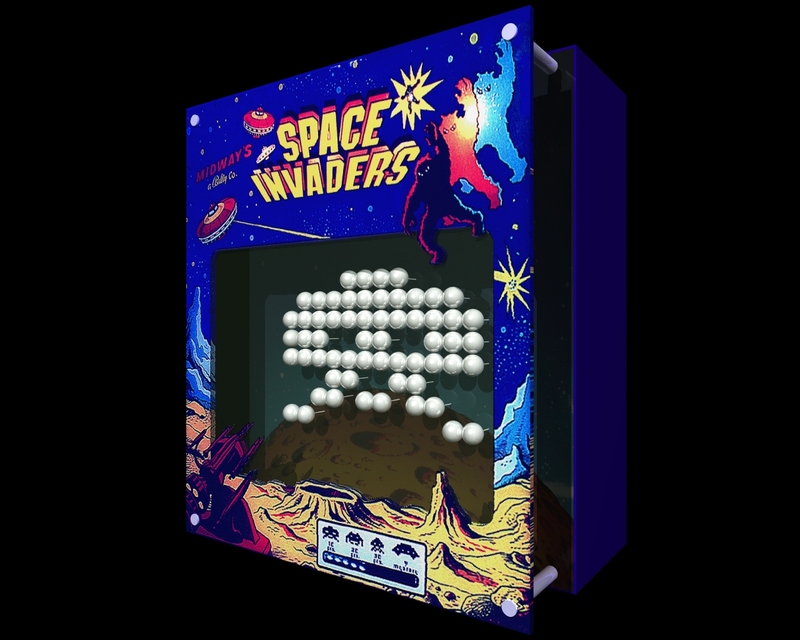 There is a perception that Armchair Arcade is just about games. This is not true. We have always been about both computers and videogames. It is important to note though that many of us maintain older computers for three reasons: games, experimentation and programming. Programming what? Usually games. Few of us that collect have that Tandy Model I or Commodore Amiga in the corner for word processing or spreadsheet work, do we? Frankly, modern computers do that better and of course work better with modern printers. So, while everything seems to mostly revolve around games at Armchair Arcade , that's more a reflection of reality than any specific limitation we place on our subject matter or content. If you see an article in this issue on CP/M on the Apple II or on Linux from our last issue, don't be alarmed. Remember, it's all about computers and videogames and all related in some fundamental manner. In any case, we hope it always makes for fun and educational reading. Besides the great new cover art by Richard Horsman - where you need to be sure to display the image both full-size and less than half-size to see the unique effect of his rendering technique - and our usual in-depth written content, we have another new video feature and two comics. With the "Antic Aardvark" comic, we are introducing our unofficial mascot, who appears in his first of many upcoming strips. Let us know what you think of the concept and direction as the Antic character and his world evolves. store, where you can customize your own products. We also have a special discount offer for our readers for the wireless RGT: G1 Light Gun that works on any television ($5 off, Coupon Code: ACA800). As mentioned above, our popular "System Ranking Matrix" has also been updated and is better than ever. This unique and valuable comparative videogame and computer system resource now features 86 different US systems and an all new look, with more on the way. On a final note, between issues, the sudden passing of RetroGaming Radio's producer, Bryan "Kidhype" Smith, hit very close to home. As many of you know, without RetroGaming Radio and the original forums, the three original founders of Armchair Arcade never would have met and eventually created what we did. It is important to remember that our industry and success is nothing without the relationships we cultivate. It is therefore with heavy hearts that we send our sincerest best wishes to all of Bryan's family and friends. There is nothing more one can ask for in passing than making enough of an impact in life to be thought of and missed by others, and Bryan certainly succeeded in that. Please enjoy the new issue and above all, have fun! Remember to let us know what you think - good or bad - by providing comments with the articles and features, participating in our great forum community, or sending e-mails. We'd love to hear from you! P.S. Don't forget, if you want your product reviewed or would like to donate hardware or software, contact your nearest Armchair Arcade editor in the "
The editor's speak in this issue's Hot Topic editorial: Backwards Compatibility: Good or Bad? Bonus Level: One of the articles above contains a hard-to-find link to some hidden content, otherwise known as an "Easter Egg" in videogame speak. Can you be the first to find it?